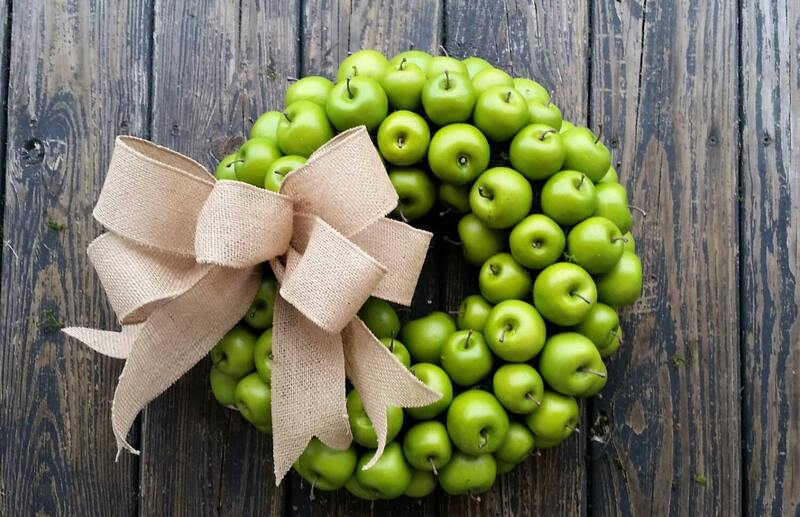 Dozens of green apples were used to create this yummy wreath. 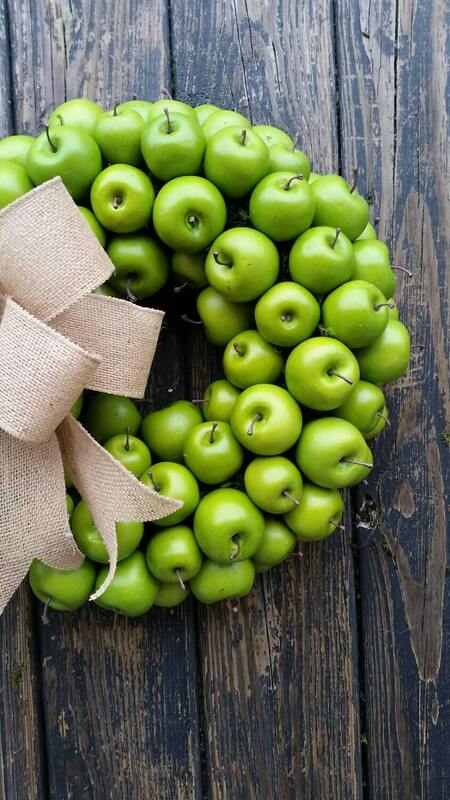 The apples are miniature, foam apples and there are three sizes. 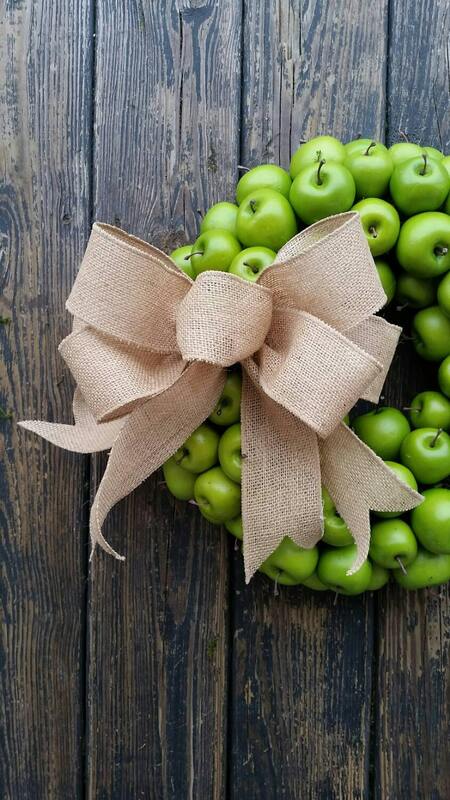 This is perfect for a kitchen or dining room or the holidays! 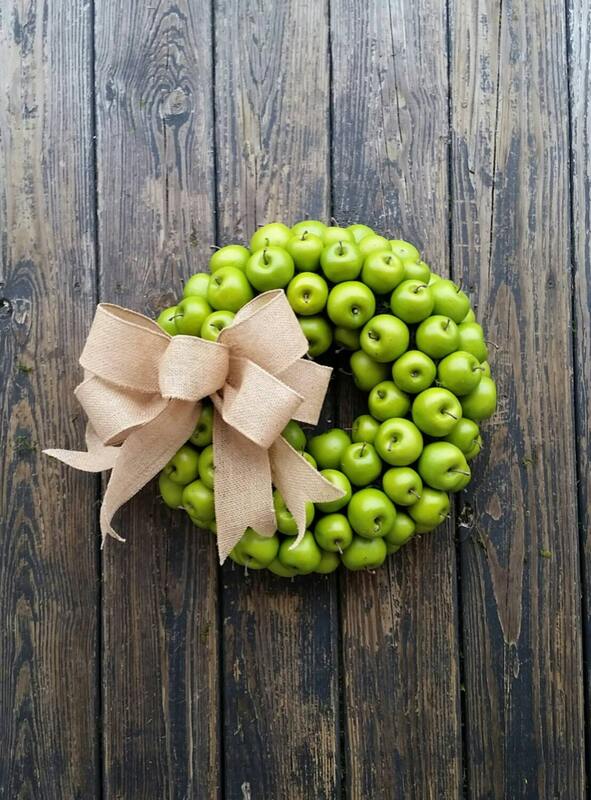 It can also be displayed on your front door. 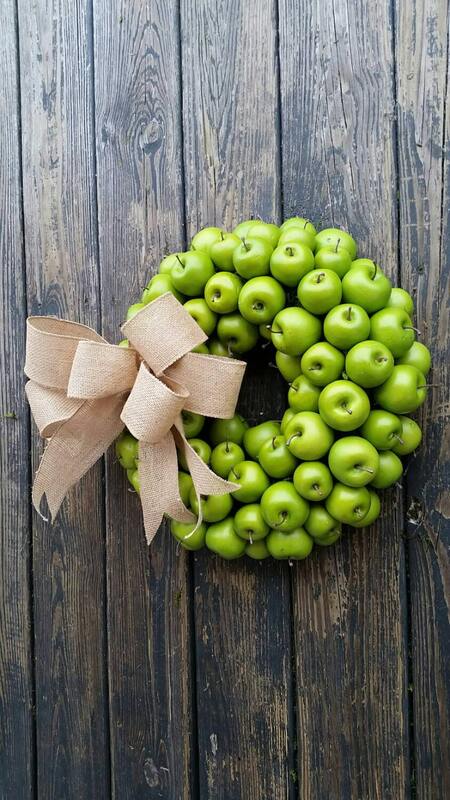 You have a choice of three sizes: a 21 inch diameter wreath (measurement includes the bow, actual wreath approximately 18 inches), a 24 inch wreath (measurement includes bow, actual wreath measures approximately 21 inches), and a 26 inch wreath (measurement includes bow, actual wreath measures approximately 23 inches).